The Judicial Office twitter account is to be applauded for the way that they keep the public (including us) uptodate as best they can. This relates to the question of whether it is lawful for a Court to impose a ‘whole life tariff’ – an order against a defendant who is convicted of murder that they are never released. The power to do this comes from Schedule 21 Criminal Justice Act 2003 that sets out how a Crown Court Judge should approach sentencing somebody for murder. Whilst it is clear that there is power under the domestic law (ie, the law as set down by Parliament as it relates to England and Wales), the issue that the Court of Appeal will have to address later this month is whether Sch 21 is compatible with Art 3 European Convention. The ECHR has ruled that a whole life tariff with no possibility of a review is contrary to Art 3. So, faced with that, what is a Court to do? Some Judges have passed whole life tariffs since that is still permitted under English law. Others have concluded that the ECHR ruling means that they should not make a whole life tariff. The Court of Appeal will have to decide (1) whether whole life tariffs are incompatible with Art 3 and, if so, (2) what can be done about it (make a declaration of incompatibility, read down the statute, or some other resolution). It may be that the issue is ducked on the basis that none of the people who are appealing need to have a whole life tariff, but this is unlikely. Whatever happens on the 24th January, that won’t be the end of the matter. The case may go to the Supreme Court (unusual for a sentencing appeal) but will certainly go to the ECHR. This one will run and run. Why is the Court of Appeal having five judges to hear this? This is an indication that the Court think that this is a ‘big’ judgment. The panel of Judges is very high-powered, which just reinforces this (there is an issue as to ‘precedent’ – given that the previous case had five Judges, it would take a 5 person court to overrule that, but I don’t think that that is the real issue). It also means (in practice) that the Court of Appeal are gearing up for a fight with the ECHR. It’s not called a fight of course, in polite terms it’s a ‘dialogue’. The idea is that the Court of Appeal ‘feeds into’ the ECHR (being a trans-national Court) and the composition of the Court makes it clear that the judgment is carefully thought out to ‘assist’ the ECHR with ‘understanding’ UK law. In fact, the Court of Appeal did this in November 2012 with the same issue of whole life tariffs (interestingly, two of the Judges who decided that case will be deciding this one). They concluded that whole life tariffs were lawful. The ECHR noted this in their judgment in Vinter, but came to the view that this was wrong. What then is the point of another five person court? I suppose that it is possible that the ECHR will change their mind. The judgment in Vinter was pretty clear and comprehensive however. Is there more that can be said, or anything that the ECHR did not understand about the way the English and Welsh legal system works? Again, it is hard to think of anything. It is always possible that the ECHR will change their mind due to the merits of further legal argument, but I think that that is unlikely. It may be (like with hearsay) that the ECHR sees the political danger and tempers their ruling somewhat. Ok, if whole life tariffs are unlawful, how about 100 year sentences? This is an intensely political issue. The political make up of the Judges in the Court of Appeal is mixed, but I would be very surprised (amazed in fact) if the Court of Appeal did anything other than uphold whole life tariffs. It’s always dangerous to predict, but it would be wrong of me not to have a bash. My guess is that at least one of the people will leave the Court without a whole life tariff (Mr McGloughlin is the easiest legally as it’s an AG Ref, but Mr Newell is perhaps safest politically). After that, I think that whilst the Supreme Court would not want to deal with this, they will take it up and (not unanimously) dismiss it. It will go back to the ECHR eventually. Where the ECHR will hold that whole life tariffs are unlawful and the process will start all over again… All the while the Government will do nothing. (Disclaimer – this is my own personal view) – My own view is that Vinter is correct and whole life tariffs are unlawful (the links above set out the reasons why). But, whether that is right or wrong, the wider question is our relationship with the ECHR. To me, it is clear – we have signed up to this and we are bound by it, so rather than complaining, just get on and comply with the Court’s ruling. There has been much in the press about this, but it is manufactured outrage. All that is required to ensure compliance is to have a provision that after someone serving a whole life tariff has served 25 years there should be a review (which would be best done by a Judge) where the Judge checks to see that a whole life tariff is appropriate. We are not talking great issues of long-standing principle here. Whole life tariffs without review have only been an option since December 2004. It is not clear whether Parliament even thought about the (then existing) review position when they passed the behemoth that is the Criminal Justice Act 2003. The impact of allowing a review would be so minimal as to have passed unnoticed had the Government not been determined to make Europe an issue. A sensible and mature government could have dealt with this with a minimum of cost and fuss. It is a pity that this one did not. This entry was posted in In the news and tagged ECHR, Europe, human rights, murder, whole life on 09/01/2014 by Dan Bunting. We looked at the way that the Court of Appeal dealt with deciding whether victims of miscarriages of justice should be compensated in various cases (including Barr George) earlier in 2013. 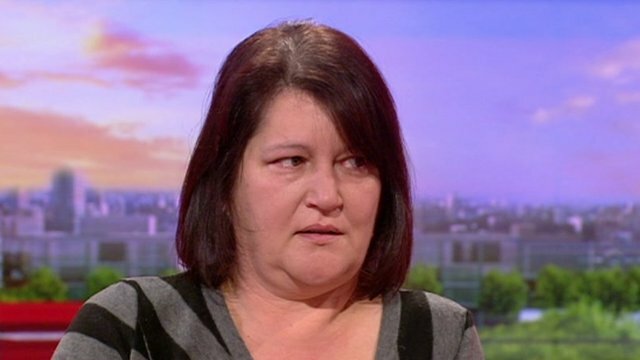 It was widely reported on 12th July 2013 that Lorraine Allen lost her bid in the ECHR to be compensated after serving a three year sentence for the manslaughter of her son. She was convicted in September 2000 and sent to prison. Her conviction was quashed in 2005 (long after she had served her sentence) on the grounds that the medical knowledge relating to ‘shaken baby syndrome’ had moved on since then and there were alternative explanations for the injuries. The Court of Appeal did not order a re-trial (which is not unusual in a case where someone has served their sentence in full). Ms Allen applied for compensation under the scheme in place at the time (again, fuller details in this post). This failed in the UK, in part because there was no ‘new fact’ – just a re-evaluation of the medical evidence. Further, Ms Allen could not establish her innocence. What did that mean in Ms Allen’s case? The ECHR is a review Court – their job is to review the decision of the Court of Appeal (in this case) to see whether its decision is within the margins of what is permissible. Here, they concluded that the Court of Appeal stayed well within that margin and, therefore, that the appeal had to be dismissed. It is important to note that the ECHR analysed the question by considering the Court of Appeal’s role when set against the statutory test, not whether the statutory test was unlawful of itself. What I mean by that is that the Court of Appeal has to go through the questions that are set out in s133 Criminal Justice Act 1988 and give reasons for their conclusion. The ECHR then looked at the answers they gave and the language they used, they did not look at whether the questions that they are told to ask are the right ones. It may be that they come back to that another day. As noted in the previous post, this area gives rise to some pretty complicated issues. It seems to me, however, that when the state takes away someone’s liberty, and they do so wrongly, they should have to compensate the individual for that. There will be people who ‘get away with it’ as a consequence, but I would rather that there were unmeritorious cases of people getting compensation than people who are innocent, and have had their lives torn apart by the state, not being given any recompense for that. This entry was posted in Caselaw Update, Comment, In the news and tagged allen, ECHR, miscarriage of justice on 14/07/2013 by Dan Bunting. We were asked by a Twitter follower to write a post about the human rights implications of deterrent or exemplary sentences. One of the statutory aims of sentencing is deterrence. It is common sense that in addition to punishing, rehabilitating and sometimes providing recompense for victims, the law should operate as a deterrent to others. Prevention is better than a cure, as they say. What is it and when is it appropriate? A deterrent sentence is one which includes an ‘uplift’ from what has previously been the level of punishment in order to act as a disincentive to commit a particular crime. The general view is that deterrent sentences are appropriate where the prevalence of a particular crime or type of behaviour is increasing. The theory is that by imposing a deterrent sentence, or a sentence with a deterrent element, others will be disincentivised to commit/continue to commit such crimes as the increased penalty now outweighs the perceived benefit/gain. It is necessary to perform a balancing exercise between the deterrent element and ensuring that the sentence remains proportionate for the crime. The deterrent operates in two ways, firstly against the individual offender, to induce him or her into not committing that crime again (analogous to adding a bit on to a sentence if you have a string of similar previous) and secondly to operate as a deterrent to society as a whole. Consider the situation where a driver receives 3 points and a £60 fine for speeding. The fine and the points (especially if there are existing points on the licence) may already operate as a deterrent, however, if the penalty was a £600 fine, or an instant ban, or even a short custodial sentence, one may say that drivers would instantly think twice about driving in excess of the speed limit. R v Blackshaw and Others 2011 EWCA Crim 2312 (the conjoined appeals from the heavy sentences handed out in light of the August 2011 riots). The court imposed deterrent sentences, which saw some receive sentences of 4 years. Deterrent sentences were required because the fact that so many people with no previous convictions decided to participate. Why was that? Well, many were participating because they thought that they would not get caught, which suggests a respect not for the law, but for the consequences which breaking the law might bring. When the perception was that there were no consequences, there was no deterrent not to break the law. In turn, this required a tough response, to ‘send a message’ to those who take such an attitude. Backed by statistical data demonstrating an increase in knife crime, it was felt that in order to quell the ‘trend’ in carrying and using a knife, a tough response was needed. In response, Parliament introduced a 6 month minimum sentence for certain knife offences. There is also a starting point of 25 years if a knife is taken to the scene and used in a murder. Articles 3 (prohibition of inhuman, degrading treatment or torture) may be relevant – might an excessively long sentence constitute degrading treatment? Perhaps, but it appears somewhat unlikely (see the discussion on the case of Hall  EWCA Crim 82 last week). Article 8 (right to private and family life) appears most likely however, in that a deterrent sentence is disproportionate, arbitrary and therefore not a legitimate interference with the convention right under article 8, it is unlikely that any such argument would ever succeed in practice. The primary argument against a deterrent sentence in practice is probably going to be either a) it wasn’t warranted or b) it was warranted but the sentence imposed was still too long, as opposed to a human rights based argument. Deterrence (i.e. a reduction in crime) is a legitimate aim of sentencing. Where it can be shown that a deterrent sentence for an offence was necessary, because of its prevalence for example, such an argument would surely fail. The case of R v Offen 2001 1 Cr App R 24 offers an interesting discussion of automatic life sentences, ‘exceptional circumstances’ and the ECHR. Minimum sentences don’t appear to have worked, and from a lawyer’s point of view, they unnecessarily fetter the judge’s discretion and can make it more difficult for him or her to impose the correct sentence. Not much of a deterrent, eh? It may be that in many cases, deterrent sentences are more a political than legal consideration (knives, burglary, etc.). However, for something like perverting the course of justice, it is thought necessary to hand out heavy sentences to demonstrate that the justice system is to be respected. However, after Joanne Fraill contacted a defendant on Facebook and received a stiff custodial sentence of 9 months, do you think jurors are less inclined to use the Internet to do some research into their trial? Judges do use such cases as examples when instructing jurors that they are not to perform their own research etc. In relation to Chris Huhne, if he escapes with a non-custodial sentence, then it may be that there is a rise in the number of instances of husbands and wives taking each other’s penalty points to avoid disqualification. If so, then the whole penalty point system falls apart. A custodial sentence demonstrates that the law is to be respected. So, do they work? Save for the few situations (e.g. perverting the course of justice), it appears that deterrent sentences do not work. How many offences involve a degree of planning (as opposed to spontaneous)? Of those, how many defendants will be aware of the likely sentence if they are caught? Not many. Immediately, the deterrent effect is reduced because it operates solely on people knowing about it. Dan has written an interesting post (here) on some of the statistics used to justify deterrent sentences, and how deterrent sentences do not work. This entry was posted in Comment, Q&A, The Law, Explained and tagged article 3, article 5, article 8, blackshaw, deterrent sentences, ECHR, human rights, knife crime, rioters on 15/02/2013 by Lyndon Harris.